Hey Dolls!! Hope you are enjoying the weekend. I love getting things in the mail & this time i got this beautiful necklace & a pearl hairband i wore in my previous post here, from Born Pretty Store. Born Pretty Store was the sponsor of this blog when i'd just started this blog & was new to blogging. I was so glad when they asked me to feature their products. I am totally in love with this necklace, can brighten up any boring outfit. Get it here. I wish i could style my hair better but my hair is so moody, i tell you, & its so difficult to manage them. Too bad, I haven't lost a single pound after delivery, & its been a month & a half since i delivered. :( I miss my pre pregnancy figure... ugh!! 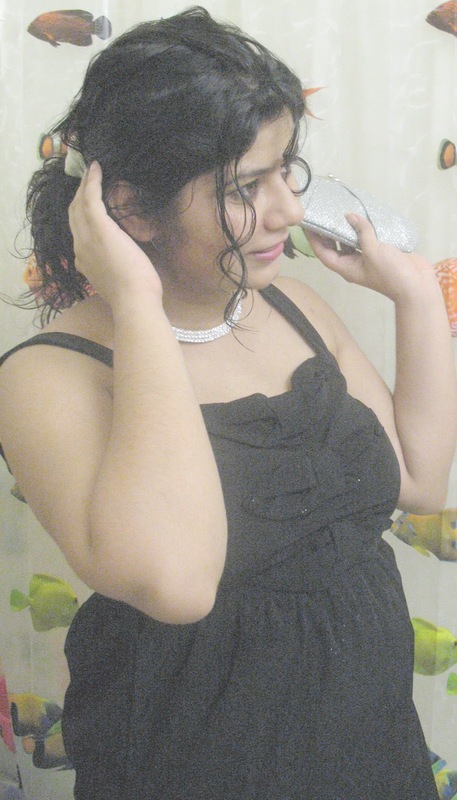 This is the headband that i also got from them. 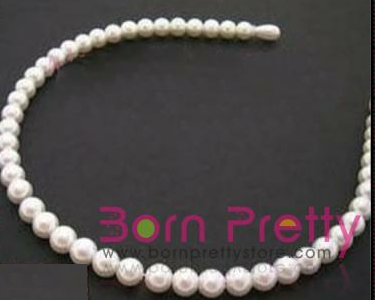 Its such a beautiful pearl headband. Can enhance any b'ful, romantic look. Love it. Wore it here. Dolls do check out Born Pretty Store. They have some amazing stuff, & you as a reader of this blog can get 5% discount in their store. Just use the coupon code RICHAW21 at check out and the code is valid before Dec.30th, 2012.
beautiful nacklace, you look fab!! lovely look! :) I like your clutch! :) kisses! You look so pretty! Love the hair! wow, your lucky!! love the necklace sweetie!! and you look pretty with your outfit!! I have a giveaway from ROMWE in my blog. You can win: A backless dress + 50 $+ secret gift. Would you join? Lace on Lace! Yay or Nay?